While other operators seem to trying to unload the iPhone 3GS, now that the iPhone 4 is happening, Telia is behaving weirdly. 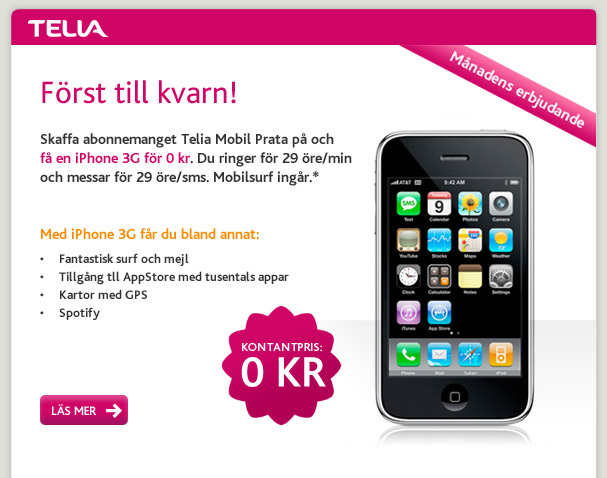 It seems like they are giving an iPhone 3G with a pay-as-you-go subscription. But who on Earth would want an iPhone 3G at this point?